In the late 90's after guitarist Rintu (Rocker) left his former band X-Uranium, he decided to start a new band of his own to prove a point. It was a new start for him, like a rebirth, therefore the name of the band "ReBORN". He teamed up with Salek (Ex-Bassist Gokhra). They tried out with Sanjib on vocals, Rana on guitars and Tony (Black) on drums. Together they did a show or two at that time. Later, these 3 mutual friends had to go separate ways for individual reasons like studies, time-constraints and other preferences. Then Rintu (Rocker) found Ali through mutual friends, Ershad (Artcell) and Ranjan (ArboVirus) who literally chained Ali as the vocalist permanently. At that time, Rajib (Burger) helped out with drums when we launched in the underground scene but in the long run got replaced by Turjo/TJ (Vibe). Then came the need for another guitarist and we found Chisti (Shoiks/Chistoh), thanks to another friend Moaz. 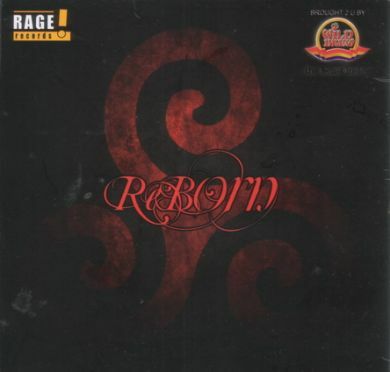 Officially ReBORN was set in 2003. We did over a hundred gigs/shows after that in a span of about 3 years. Then around 2005, we went in hibernation as Ali HAD to move back to Ctg (his hometown) after graduating from NSU while Chisti had to go abroad for higher-studies, recording arts at SAE - UK. We were totally out of the underground scene from then but kept working for the album, one little step at a time. Later in early 2008, Salek had to leave the band and got replaced by Shumz (Beasty) on Bass, we were friends from NSU times, he fitted right in. That same year, Anabil joins the band who also happens to be the youngest among us. We were sure the kid would make a huge difference on our sound with his instrument, the keyboard. After 6 long years we were able to complete our self-financed debut-album featuring 10 Tracks encompassing a concept of "ReBORN" itself. The lyrics were mostly done by friend Rumman, who also happens to be Artcell's significant lyricist. Сборник группы, песни 2003-2009 годов. Мелодичный хэви метал. Приводится в сокращенном варианте.